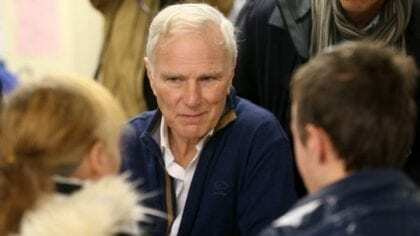 Philip Alston, UN Special Rapporteur on extreme poverty and human rights, was in the UK last November 2018, presenting his findings on this press conference. It seems that the UK, the 5th world economy in terms of GDP, drags on the 55th position as far as inequality is concerned, in a list of 160 countries (Gini coefficient measurements from the year 2000 onward, mostly). 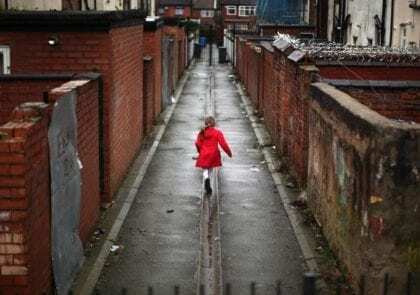 He refers that, although many think tanks, civic organizations and even parliamentary groups speak of poverty as a crucial challenge in the UK, government ministers consider that “things are going well”, in an obvious attitude of denial. Alton’s visit to the UK has spurred the House of Commons Work and Pensions Committee to conduct an inquiry on UK’s welfare system, along with rising evidence of debt, hunger and homelessness across the country. In fact, a recent (June 2018), deep study on British welfare had already demonstrated that the attribution of conditional benefits has more drawbacks than positive outcomes, which turns the present system counterproductive. So, it seems that poverty, social stigma and arbitrary sanctions are not only the product of some filmmaker’s imagination (e.g. : I, Daniel Blake), but real, verifiable facts. Research at the Institute for Social and Economic Research at the University of Essex has shown that such a new layer of unconditional incomes would be entirely feasible. By reducing to zero the Income Tax Personal Allowance and the National Insurance Contributions Primary Earnings Threshold, levelling out National Insurance Contributions across the earnings range, and raising Income Tax rates by just three percentage points, it would be possible to pay an unconditional income of £63 per week to every working age adult, with different amounts for different age groups. No additional public expenditure would be required; poverty and inequality would be substantially reduced; almost no losses would be imposed on low income households at the point of implementation, and only manageable losses on any household; a significant number of households would be taken off means-tested benefits; and a much larger number would be brought within striking distance of coming off them. For every household that came off means-tested benefits, employment incentives would rise substantially. Most importantly: every household in the country would experience a substantial increase in its financial security. It is worth noting that the House of Commons Work and Pensions Committee had already run a formal Oral Evidence Hearing about basic income, on January 12th 2017. At this session were presenting evidence and informed opinions for basic income Louise Haagh (University of York and Basic Income Earth Network), Annie Miller (Citizen’s Income Trust) and Becca Kirkpatrick (UNISON West Midlands Community Branch). On the official summary of that formal hearing, the Committee judged the possibility of introducing a basic income type of policy in the UK as risking “being a distraction from workable welfare reform”, urging “the incoming government not to spend any energy on it”. Overall, social degradation is happening in the UK, no matter how much governmental officials try to deny it. And that is in the midst of great transformations in the British welfare system, which may raise concerns about what “workable welfare reforms” the House of Commons Work and Pensions Committee had in mind in early 2017. Accepting evidence from the CIT, naturally supporting a thought-through basic income scheme for the UK, it remains unclear whether the appeal for the government to avoid basic income is to be given any credence. In the US, we deal with our poverty crisis by ignoring it. We do still acknowledge the “challenges” faced by low wage workers, but remain firmly determined to pretend that there are jobs for all, and all can work. We can acknowledge that in recent decades, USA jobs losses far surpassed job gains, yet imagine that there are no consequences. This enables us to remain loyal to capitalism, sure that any day now, conditions will improve. Those at the top are taking all the wealth, the Lords get £300 PER DAY just for turning up at the House of Lords and they don’t even have to do anything, they can sit there and go to sleep, and many of them are Millionaires or Billionaires to begin with but that doesn’t stop them from taking their £300 pocket money each day. Meanwhile, others in the UK are working hard to earn minimum wage, or existing on 70 quid a week unemployment Benefit. The MPs get 78 Grand per year PLUS expenses. Then they have the nerve to tell us that “we’re all in it together”. Yeah right. Being a resident of the uk and having a supposed defender of a biblical Faith ie the queen with national anthem to boot! Why is it that redistribution of wealth lev ch 25 and dept cancelling Deuteronomy ch 15 are never mentioned .National id’s are structure d by the oligarch for the oligarchs benefit therein is the battleground!